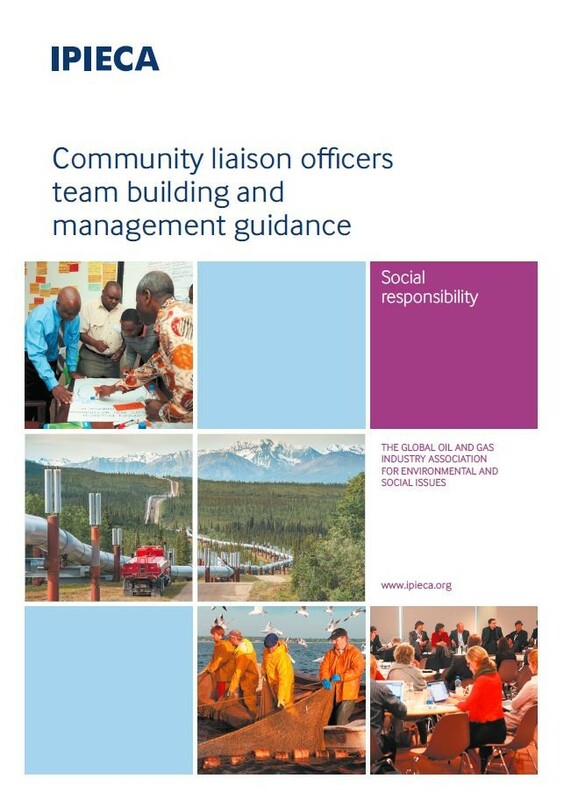 IPIECA has released a new publication Community liaison officers team building and management guidance, to assist community relations managers in planning their community liaison teams and recruiting community liaison officers (CLOs). Research has highlighted the need for managers to increase their understanding of the CLO role and develop more structured approaches to CLO teams, so that CLOs can fulfil their potential, maximize their contribution to project objectives, and meet the needs and expectations of communities. The guidance is complemented by a CLO management toolkit to help deliver the content. The toolkit is designed for use in any global context but can be used flexibly. It can help managers in the recruitment, training, and planning and management of CLO teams. For instance, to help them draft job descriptions, build complementary CLO teams with a balance of skills and attribute, and build CLO professional development programmes. It also contains a set of training slides with speaker notes and example training exercises.